Wow! Mummy still has to coordinate her life much, much, better. She now says she’s feeling guilty about not helping me keep up with my blog posts. Being a dog, I know nothing about guilt so I have no idea what she’s talking about. Oh well. So what have I been up to the last couple of weeks? Mostly GROWING!!!!! I’m getting HUGE – at least according to my Mummy. I am now the same height as the coffee table, which apparently is a BIG deal in my house. 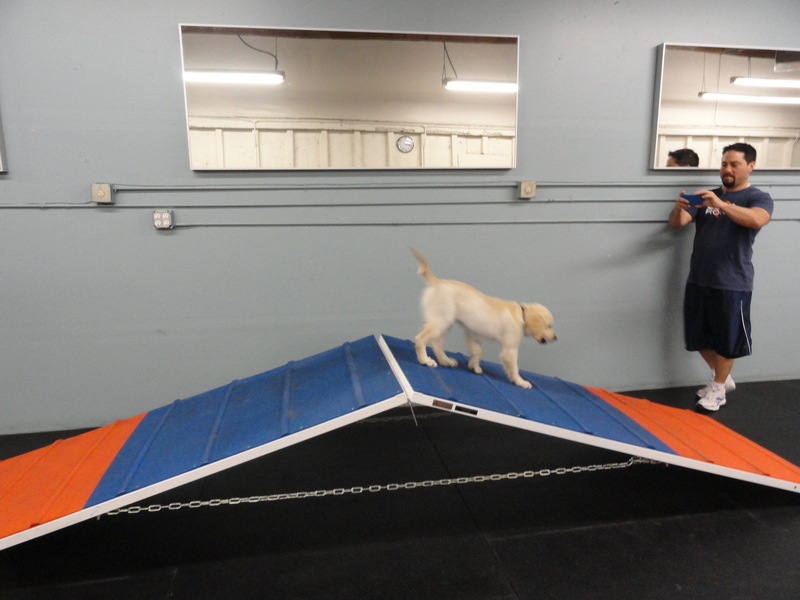 I am getting SOO good at agility and Mummy finally has video of me doing my stuff with trainer Dave at The Zoom Room in Culver City. And he says lots of great things about me too. You can hear them on the video! Oh, and he also thought I was SOOO darned cute he put my picture up on the Zoom Room Facebook Page. Okay, here’s some pics of me doing some zooming at the zoom room and the video. Whee!!!!! Oh, we DIDN’T get pics of me running through the tunnel, which is one of my favourite things. I did my first weave poles this weekend too! 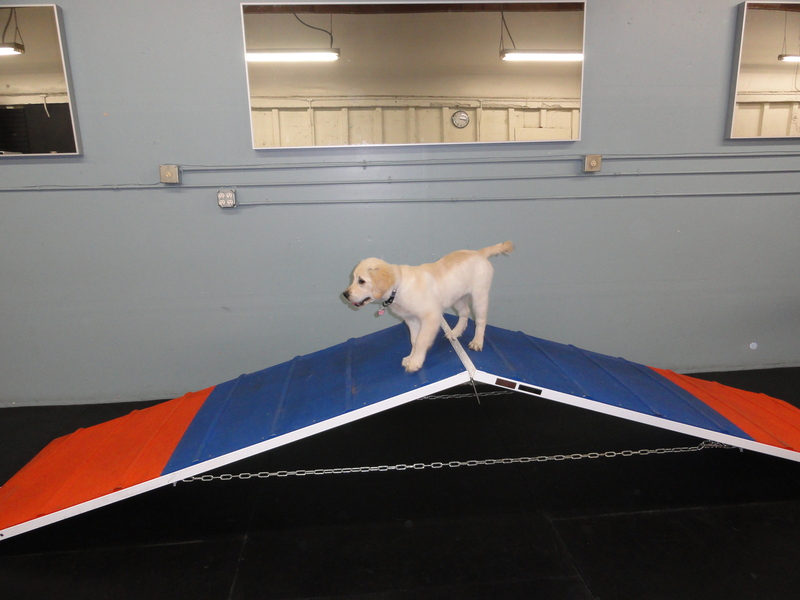 Here’s the video of me in puppy agility! 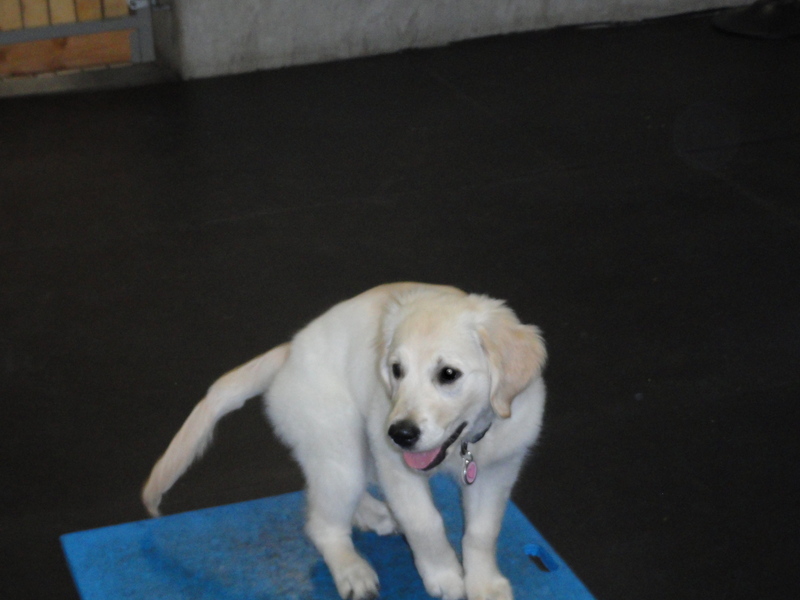 This entry was posted in English Golden Retrievers and tagged Golden Retriever, puppy agility, Zoom Room Culver City. Bookmark the permalink. 5 Responses to I’m back! Not sure where I went, but I’m back! Why is the Momster just squeeing and squeeing away here? You do so well, Bronte. And yes, you are just beautiful. Skhweeing here in Pawsylvania too! Keep up the GReat job GRowing! Woweeeee! Maggie, Tucker, and Mama Katie are duly impressed with Bronte’s prowess! Well done, Bronte! We think when the weather warms up a bit, Miss Maggie had better get on the stick! Excellent! You look like you are having so much fun at the zoom room. I can see your mum is already so very proud of you. 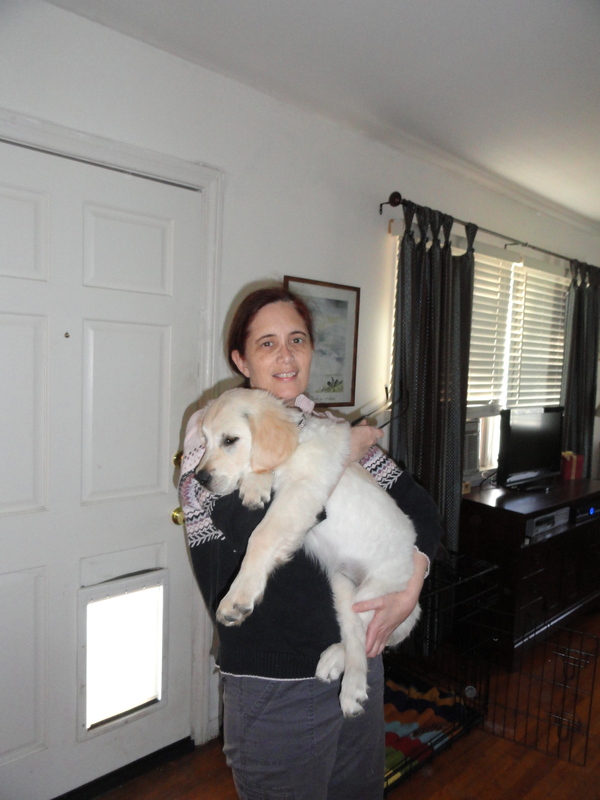 Guess what… since your last post my humans and I have gotten a puppy. He is another English Golden Retriever (his dad travelled over 12,000 miles to live here in New Zealand), and was born 29 Dec 2010 so is slightly younger than you. Mum has been so busy looking after us both, that she has hardly had any time at her computer, but I’ve noticed that having a puppy means I get extra treats, new toys to play with and little bits of tasty puppy food. Oh wow Riley. SOOO excited for you. Are you having fun with your new puppy brother? What’s his name?